Got a little one starting school for the first time? Me too. And having been there, done it and got the t-shirt once before there are a few things I’m going to do differently second time around. 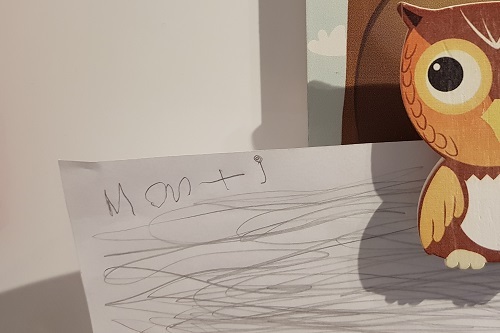 The middle one is due to start school for the first time in September but unlike last time, when the experience was a first for both the oldest and me, this time around it’s not quite such a daunting prospect. 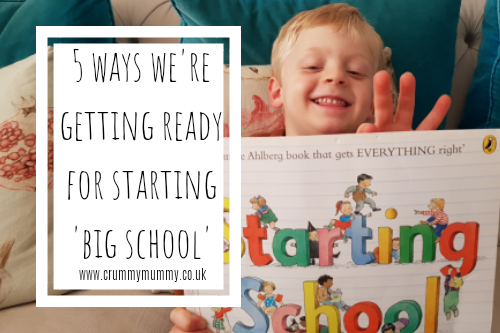 I feel much better equipped to prepare him for what will be one of the biggest changes of his life so far, and with the school application now in and the countdown on I thought I’d share how we’re getting ready for starting ‘big school’ for anyone else in the same boat as us. 1. We’re talking about it! With the application form done it can tempting to forget all about actually starting school until nearer the time, but the more you talk about it the less of an alien concept it is, plus it gives them the chance to ask any bothersome questions they might have. 2. We’re reading ‘starting school’ books. 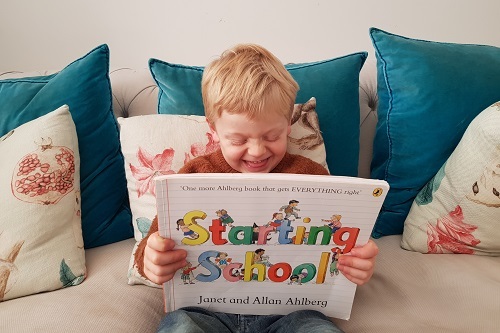 There are tonnes out there, but a firm favourite in our house is Janet and Allan Ahlberg’s aptly named Starting School (we haven’t been gifted one or paid to feature this particular book – we genuinely love it!) Like all their books it’s charmingly nostalgic with illustrations kids – and grown-ups – love. 3. We’re getting up to speed in the toilet department. By which I mean trying to get him to wipe his own bum. 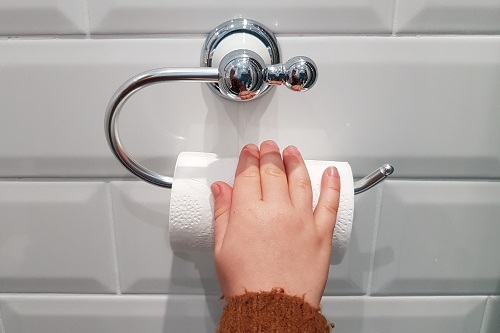 If you’re a regular follower of the blog you’ll know we’ve only recently cracked potty training (see 7 reasons why I won’t potty train my youngest) but getting him to use loo paper himself is another matter. So, we’re doing everything we can to make sure he can by September – easier said than done of course! 5. Introducing the concept of school uniform. If you’re the owner of a small person who’s rather particular about what they wear like us then this one is a must! 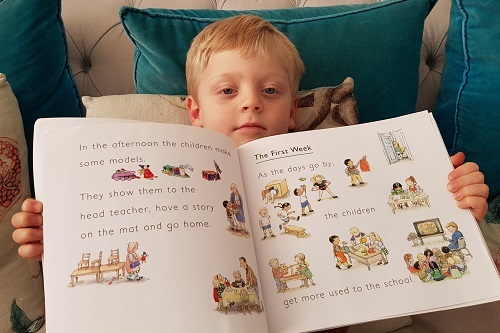 Before long he’s not going to have a choice about what he wears in the morning so I’m introducing the concept of ‘special’ school trousers and shorts and going shopping for school shoes. 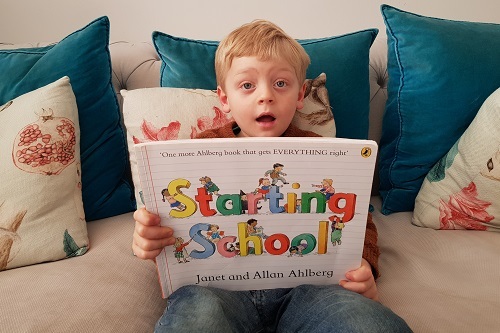 Do you have a little one starting school for the first time? Is there anything you’re doing in preparation? I’d love to know what it is!